The year is rushing to a close and I would like to thank all of you for your support and friendship over the year. It’s been a lot of fun but a busy year – the new gift boxes we launched a year ago, have taken off and it’s exciting to see them in so many different countries around the world. For those who haven’t had the opportunity to see them please go to our website www.adelesmohair.co.za/magicgifts – all 20 of the yummy colourways are on display. 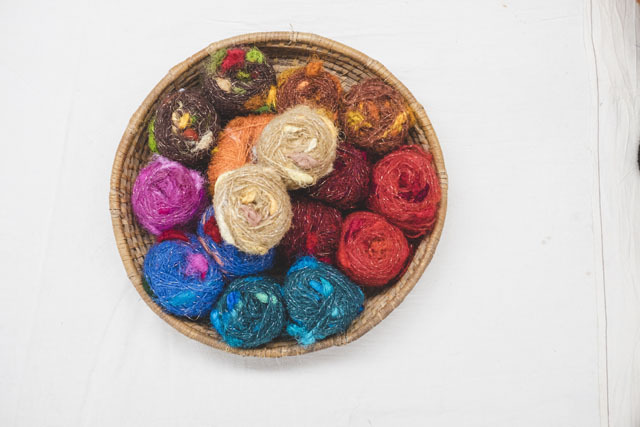 Each box contains 12 balls of mohair and detailed patterns which allow you to create something beautiful, that is colourful and full of texture – knitters, prepare to get your groove back! 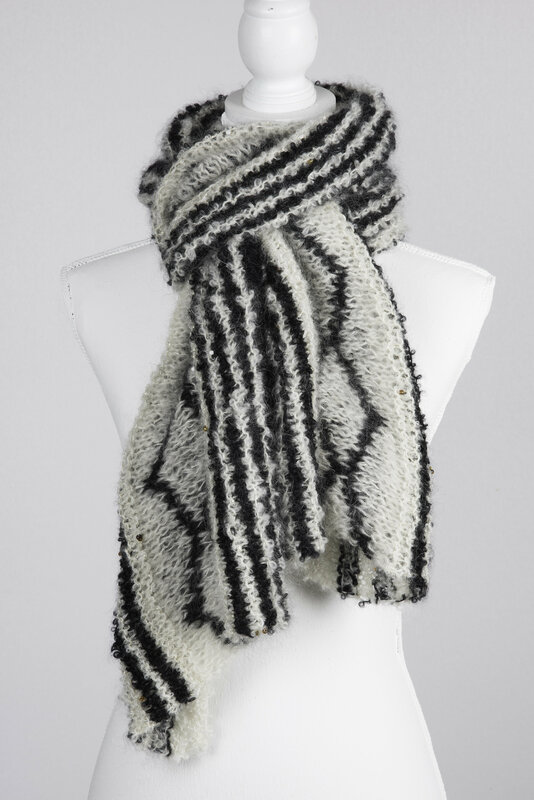 We have recently added a new pattern to our selection – 2019 will see the distribution of the latest group of gift boxes which showcase our Xhosa Scarf. This design is inspired by the traditional clothing worn by the women that work in our workshop and is available in 3 colourways. Keep your eyes on our social media pages and website for the designs. 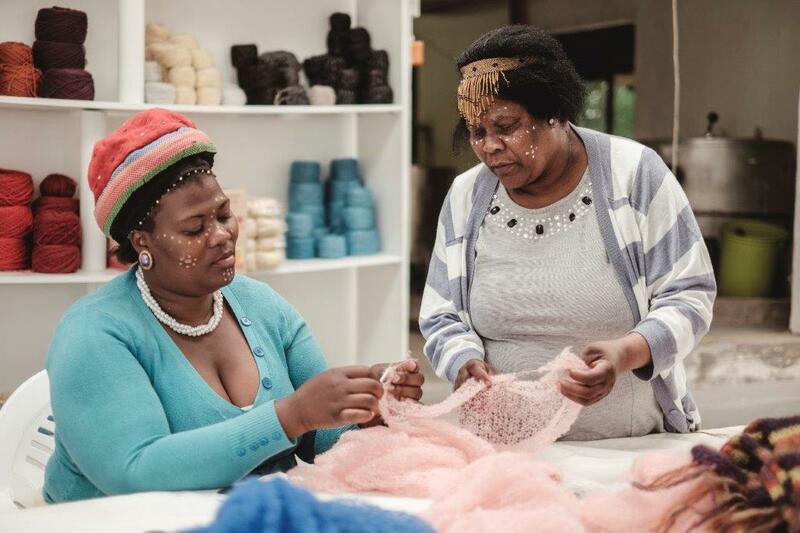 To keep you in the loop phase 3 designs are already being test knitted and we aim to keep you captivated by these exciting projects. We want these gift boxes to appeal to an ever-widening group of crafters who are excited to knit these new patterns in many other colourways. 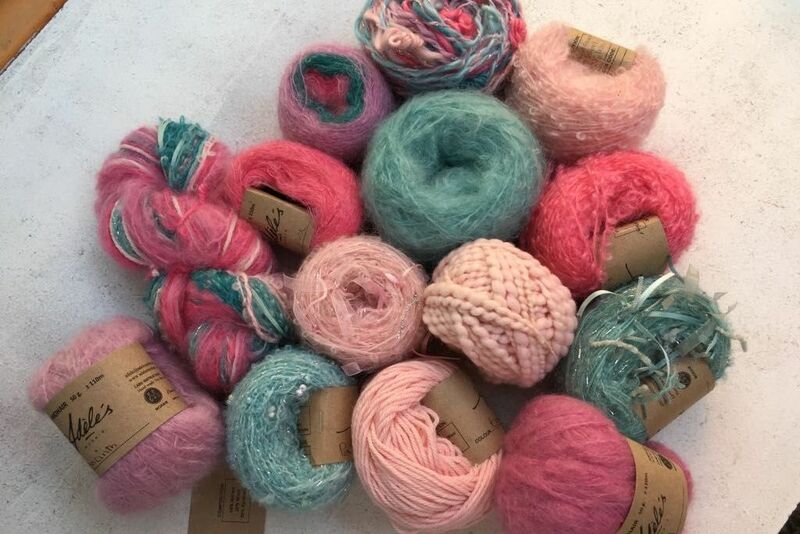 Our handmade yarns are fun, colourful and unique, so these boxes are a way of introducing crafters to creative knitting with different textures and easy instructions. The colourways in the boxes are easy on the eye and are created to appeal to the 4 different colour analysis seasons (Summer, Autumn, Winter, Sprint) and to auto-suggest when choosing colour combinations. Crazy colour combinations with exotic textures are fine for the Avant-Garde but a little over the top for some, so if the colours are harmonious the textures will add value. I travelled a lot this year but mainly in the Scandinavian area and joined my new distributor Marianne Koskimies from Finland on several occasions. Her agency is a great advantage for all knitters living in Europe and Russia. 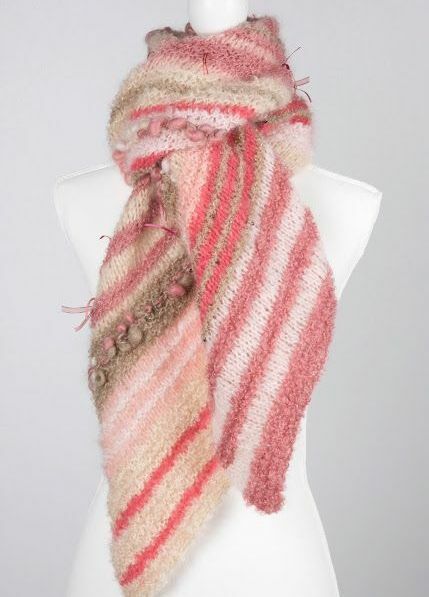 She is carrying a large amount of stock both in the knitting yarns and in the finished items so she is able to despatch quickly when orders are placed. Sadly our South African postal system is struggling and expensive for smaller orders so it makes sense to send in bulk to her and distribute from there. Her email address is Marianne.koskimies@burdastyle.fi – please do contact her if you need anything. I was so privileged to welcome Linda Cortright, the editor of Wild Fibres Magazine, with two tour groups of Americans. One of the ladies who was part of the tour groups was Kathy Martin from Sequim, Washington State. She lives on a farm – Wynham Farms and her company is called Gotmygoat. Kathy will be stocking the boxes and you can find her at Kathy@gotmygoat.com. This year we welcomed many overseas visitors to our cosy ‘Knitters Cottage’ on the farm and I would like to extend the invitation to anyone who would like to visit us. We offer a double room and a second bedroom with two single beds, an open plan lounge/ dining/ kitchen area with a fireplace and it is self-catering. Enjoy knitting under the huge tree in the garden or by the fireside. It’s a way to ‘exit from the rat race’ and enjoy a simple life with five dogs, fresh organic veggies from the garden, homemade bread, farm and beach walks and time to just BE. Rates are available on request.Your feedback on the magic mohair gift boxes is gratefully received and we look forward to hearing from you. This helps us to grow as a business and keeps us innovative and in touch with our customer needs. May this festive season see you surrounded by family and friends and be a reminder of how much we are grateful for. Here’s wishing you all a bright, healthy and happy 2019 with many, many exciting knitting adventures and projects. We look forward to an exciting 2019.